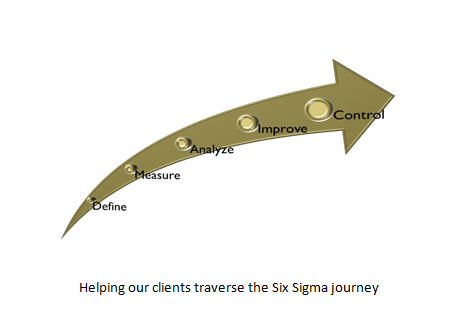 The Six Sigma journey which started in 1986 has rapidly evolved to become one of the most comprehensive set of tools and strategies for process improvement. A phase wise implementation mechanism resting on DMAIC principles have made execution simple yet exhaustive. At Beacon, we have enhanced this framework with our niche analytical tools which go beyond the conventional statistical approach. Thus it delivers tremendous ROI given the fact that accrued benefits heavily outweigh the cost of a six sigma initiative. Also with an advanced analytical tool kit , we have significantly crashed the engagement timeline for a six sigma project thereby enabling our clients to stay ahead of competition.